The post contains affiliate links! What is the connection between gut health and the immune system? It is a well-known fact that our intestines play an important role in our immunity. As trite as this can sound, most diseases indeed come from the intestines (as Hippocrates would say). And one of the main reasons is our gut flora. Our digestive system is inhabited with more than 100 trillion (yes, trillion!) bacteria – beneficial and malevolent. If both types are living in a natural balance – about 85% beneficial and 15% non-beneficial – our system and our immunity are doing fine. The good colon bacteria, also called probiotics, can handle and suppress the growth of the malevolent microorganisms that cause diseases and discomforts. They also act as immune regulators – they prepare the walls of the intestines to absorb the nutrients and stimulate the production of essential vitamins like A, B, and K. These little, but very important, allies even produce their own natural antibiotics that kill the bad flora and prevent it from overgrowing. That is why taking lots of gut health foods on a regular basis is very important for our overall wellbeing and the ability to counteract most viral and bacterial attacks! Which are the best gut health foods that replenish our good colon bacteria (the probiotics)? The most convenient way, of course, is to buy ready-made probiotic supplements from the pharmacy. And in severe cases of dysbiosis (imbalance between the beneficial and the malevolent gut bacteria), this may be a step that cannot be skipped. We can stimulate the growth of the bacteria and keep them balanced with natural tools, but the path will be much quicker with these small capsules full of the good gut flora. Pay extra attention to the colostrum & probiotics combined supplements. They can be invaluable for boosting the immunity after long antibiotic treatments, radiation, chemotherapy, etc. Consult with your physician to point you at the right direction and recommend you a high quality probiotic remedy. But also remember that there are plenty of tasty gut health foods that help us build our natural immunity if taken on a regular basis! If you are following my blog, you may have noticed that I am a big fan of Bulgarian yogurt! It is one of the best gut health foods that are extremely healthy, tasty, and easy to make on your own at home! That is why I have dedicated a whole blog post about the wonderful benefits of this dairy product which by the way does not contain any lactose! And if you cannot find traditional organic Bulgarian yogurt in your nearby store, feel free to make it at home with my favorite yogurt starter from Bacillus Bulgaricus. Note: if you are a vegan or doing any type of vegan fasting, you can prepare the Bulgarian yogurt with milk from nuts and seeds as well. You can find the detailed instructions in “The Yogurt-Maker’s Handbook”. You will learn how to make traditional Bulgarian yogurt with all sorts of dairy and non-dairy products, such as Greek yogurt, Icelandic yogurt, soy yogurt, coconut yogurt, yogurt from cashew, rice, sunflower seeds, and more! 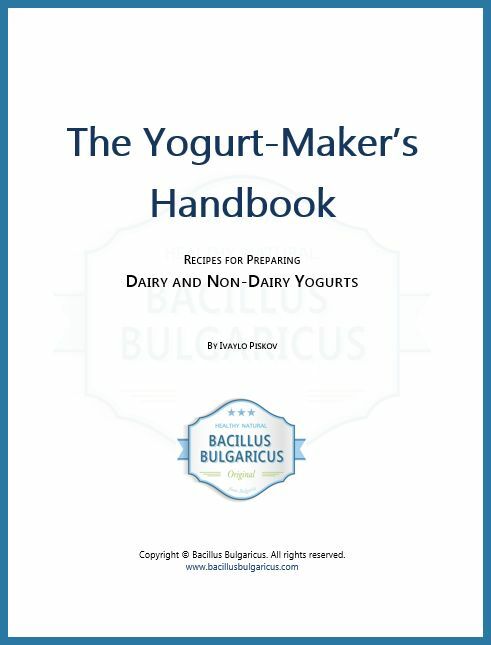 Get your FREE pdf copy with every purchase of any Bacillus Bulgaricus product! Kefir and its production look very similar to the normal yogurt – it is made of milk (goat, cow, sheep) and yeast grains (probiotic bacteria that coagulate the milk proteins). When you mix the main two components, leave them to ferment at room temperature, and stir/shake them occasionally, you will get a nice sour, slightly carbonated and alcoholic probiotic drink. Do not worry, though, the alcoholic amount is very low – not more than 1%. Be aware that the homemade kefir made by the traditional recipes will be very different from the store bought products. If you wish to make your own kefir with high quality milk (preferably goat milk), Bacillus Bulgaricus offer a kefir starter as well! How cool! Homemade pickles (like sauerkraut and dill pickles) using different kinds of bio organic produce can have a significant beneficial effect on our health and immunity. If prepared correctly, with the right ingredients, we can make a wonderful probiotic appetizer and stimulate the growth of the good colon bacteria. 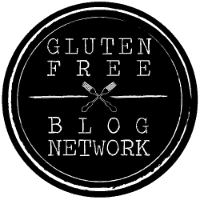 For detailed instructions on how to make probiotic pickles and tons of more immune boosting recipes and gut health foods, check out my “Build Your Immune System Fast: Proven Immune Boosters, Healthy Anti-Cancer Recipes, Homeopathic Remedies, Probiotic Yogurt Recipes, Herbal Tea, and more” ebook! This entry was posted in Wellbeing of the Body and tagged colon health, gut bacteria, gut health, immune booster, immune system, immunity. Bookmark the permalink.